Two or three times a week, I still reach for my phone to call. And yet, cannot. The gulf is to great. And I grieve. 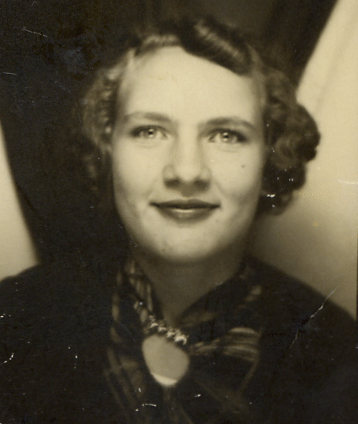 My mother, Phyllis, died one year ago today. My wife and I had spoken to her just four days before she died. A call cut short because my mother couldn’t hear well (and we were in a car) and she hung up. We planned to call her back a few days later, like we always did. We didn’t get that one more phone call. We knew her death was approaching, she was 88, but the grief is the same. Over the years, we would visit her once a year (for about 2 weeks), but the phone calls every week were a special blessing. We could talk about whatever was on her mind or mine. Many times we relived events or people in our lives, bringing back some forgotten memories, and sometimes tears or laughter. But always a good conversation. 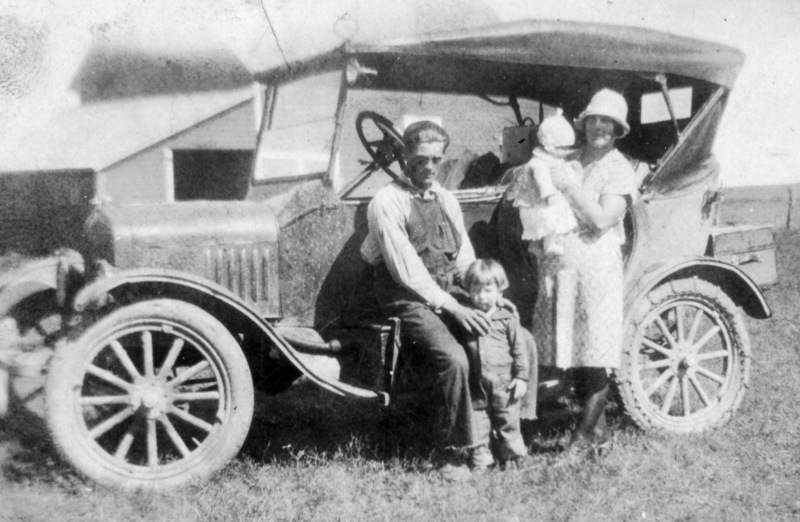 My grandmother holding my mother in 1927; my grandfather behind my Uncle Elgin. In 1999, my mother began writing by hand her autobiography (her life up to 1972 when the youngest son was married and gone from home). She had kept diary entries for every day from 1934 to the last months of her life. She asked me to put these “scribblings” into the computer, which I began to do in 2000. We worked closely (much of it long distance) for the next five years as this writing eventually became a book. That was her lifelong goal, to publish a book. In 2005 I contacted a printer, and we published the book, with three printings over the next three years. It was a privilege to do this for her and with her. In the process I learned so much more about her. Not only what she wrote, but as we discussed each chapter and paragraph, she would fill in the blanks. I soon learned I had many more questions about her growing up, about my father’s background and family (my father died in 1991). And that sparked even more phone calls, and late nights when we met face-to-face. And always the photos to aid us or provoke our memories. One of Charley and Netsy’s five sons, Brian, wrote this last week. Take time to recall to memory Netsy Carlson and Phyllis Shields McCoy … cousins …who passed away on the 23rd within an hour of each other. True friends to the end having had one last visit about a week before sharing stories, love, and hugs. It was a beautiful time for me to sit back and watch how these two strong ladies coped with their impending deaths with such bold faith in God and life everlasting through Jesus Christ Our Lord and Savior. It was a time I will cherish the rest of my life … so peaceful … even now as I think back on it. Blessing to you all. 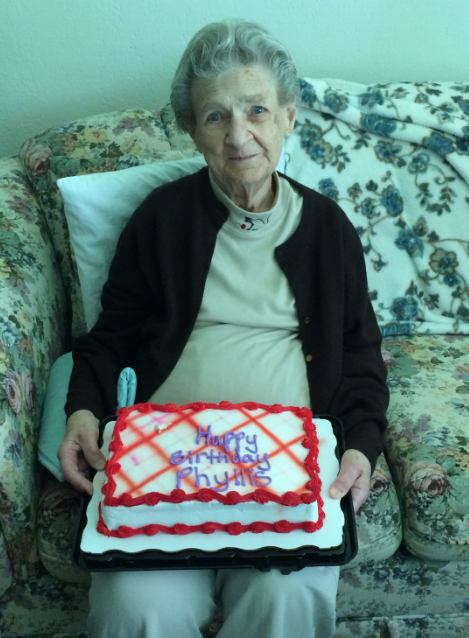 So my grieving continues, the missed phone calls, the emptiness of visiting my hometown without my mother, Phyllis. But also rejoicing for she shared our faith in Jesus Christ. I can be empathetic with your feelings. Last week was the anniversary of my daddy’s death. It has been, hard to believe, 8 years and still seems like yesterday. I’m praying for you. May God give you pleasant memories and comfort your heart.